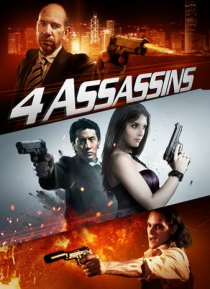 In this stylish and tense action thriller, four professional assassins reunite in a Hong Kong hotel room. However, the reason and the choice of location are a mystery. The deadly comrades reminisce about the past and ponder the future, but unresolved issues hang in the air. Accusations are made, lines are drawn, alliances waiver, secrets revealed, bullets fly and love is redefined ... culminating … in an explosive showdown where everything is at stake.